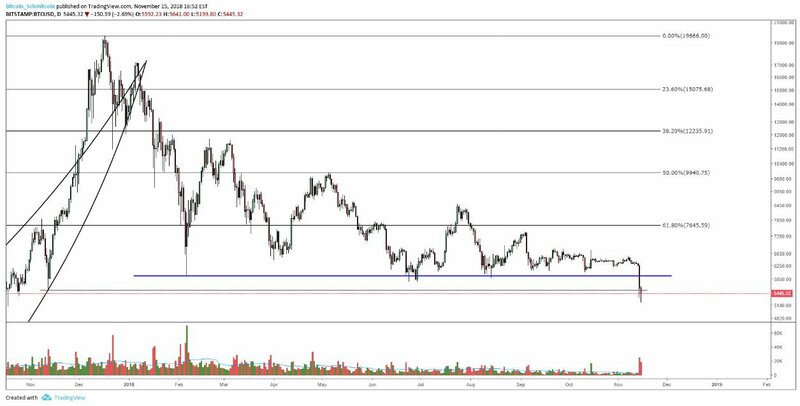 Figure 2 shows the next levels of support below us, but it seems for now we are content to consolidate at the $5400 level. The $5400 is pretty interesting because that is when the market went from being parabolic to *super* parabolic as the market took off on what’s referred to as a “hypodermic trend.” It’s when the market experiences parabolic blow-off toward the end of its parabolic cycle and the market actually breaks north of its parabolic curve. Almost one year to the day, we have found ourselves positioned at the exact same price it was previously. It was this time last year that we saw the major leaps and bounds in price as the market accelerated upward, following a strong round of media coverage over the winter holiday season. 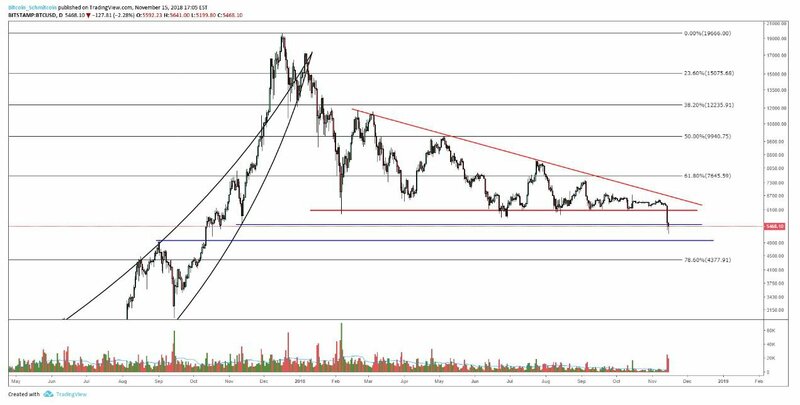 Over the entirety of 2018, the market consolidated in a pattern called a “descending triangle.” Typically, if a triangle breaks downward, it will be seen as a trend continuation to most traders and they are likely to short the asset. In our case, the trend continuation would be a downward continuation. 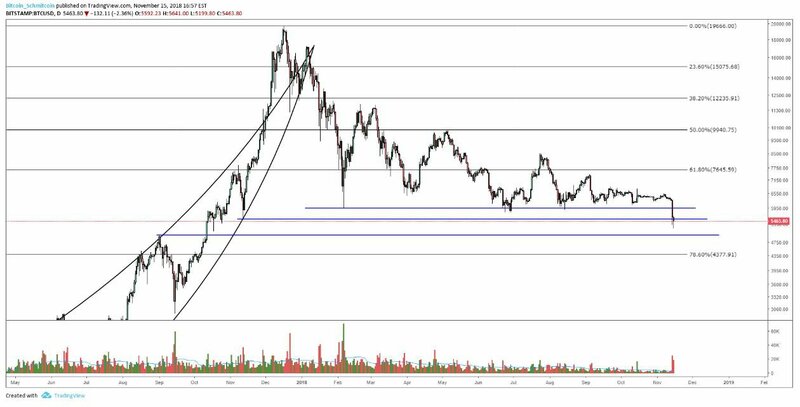 It’s unclear where the actual market will lead, but the blue levels outlined in Figure 2 and the 78% Fibonacci retracement shown above are likely to entice some of the more patient bulls that sat out most of 2018. It’s still very early to tell whether the market will see a strong continuation or if the market is just attempting to find its floor. We will know more with the weekly close. The yearly support finally broke down as bitcoin shoved down a staggering 16% in one day. The move is still fresh, but the market is attempting to test support as the bulls decide whether they want to start a strong round of buying. One thing is clear though: Supply is very present. The breakdown of the descending triangle shown in Figure 3 is a sell signal for traders, as it typically is a sign of a trend continuation. The breakout is still fresh, so we will need to check back on the market to gather further insight.